It will come as no surprise that Australia’s best chefs love fresh, regional produce. They cook with it every day, and they don’t mind travelling to find just the right ingredient. Here, 15 of our country’s most acclaimed chefs reveal their favourite regional restaurants and gourmet getaways. Its location is magic – tucked in next to the Harbour Bridge, looking across Circular Quay to the Opera House – but somehow the drama of the dishes served at Quay manages to upstage the view. We defy any reader not to giggle when they crack open the famed “snow egg” dessert. Quay was the only Australian restaurant to make it onto this year’s San Pellegrino World’s 50 Best Restaurants list (it came in at 26, up one position from last year, and also won The Acqua Panna Best Restaurant in Australasia award). 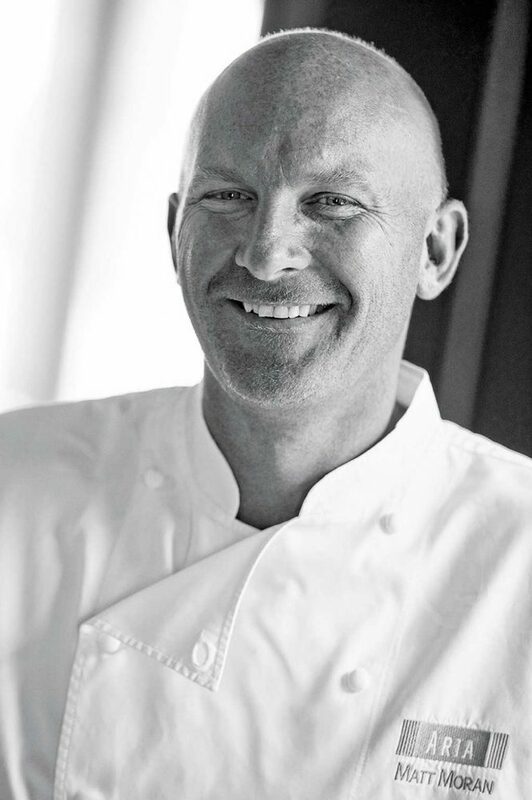 When we spoke to Peter he was just about to head off to Hamilton Island to conduct a master class for the Great Barrier Feast series at qualia. I travel around Australia a bit with my family, but not as much as I’d like to. We recently went to Tasmania, which was fantastic. We started off in Launceston, hired a car and spent a week travelling to Hobart and the Huon Valley. It was in the middle of summer so all the beautiful stone fruit and cherries were being sold by the side of the road. There’s such beautiful produce there. I stopped at a couple of places – there’s a great little apple museum that had more than 300 varieties. I also visited a couple of producers – there’s a lady who grows a lot of Tasmanian native plants so I visited her nursery, and I went to see Matthew Evans’ farm in the Huon Valley, which was great. While I was in Tassie I went and saw my friend Hugh Whitehouse, who is currently head chef at Saffire Freycinet. I didn’t stay there but we had a tour and a meal, and it was fantastic. He’s doing a great job down there, using great regional produce. It’s certainly one of my favourite regional restaurants. He’s trying to champion Tasmanian produce as much as he can. He had some beautiful Tasmanian ocean trout and fantastic greenlip abalone on the menu, and did a terrific Tasmanian lobster dish with wasabi butter. Hugh’s approach to food is all about the produce. He cooks really honestly, from the heart. It’s not “techno-emotional cuisine”, or whatever they call it – molecular gastronomy. He’s not into trickery with food, it’s pretty straightforward but really good flavours and great textures. I try to use a lot of regional produce at Quay. We have farmers up in the Blue Mountains, Richard and Nina Kalina from Berridale Farm, who we’ve work very closely with over the past five or six years. They grow a lot of organic speciality vegetables and heirloom stuff that I source the seeds for. That’s pretty much as regional as it gets in Sydney. Each season I buy at least eight or nine varieties of vegetables from Richard, which is great. I source from speciality suppliers all around Australia. Our Suffolk lambs are from South Australia – Richard Gunner’s the farmer (trading as Feast! Fine Foods). I buy lots of milk-fed lambs from him. We use Berkshire pigs from the Byron Bay area, and my beef comes from the Tamworth region – its Rangers Valley beef. They stock Black Angus and Wagyu cross (Holstein or Angus). All our seafood is sourced through Sydney Seafood Markets. We use Western Australian marron. I’d say that 95% of my produce would be from Australia and we obviously seek out the best of what’s available. At the moment on the menu we’re using some native lilly pillies from South Australia. We also use native sea parsley or sea celery, which also comes from South Australia. It’s a native herb that tastes somewhere between parsley and celery, hence the two names. We can use it raw but we blanch it as part of a dish that features pig belly, abalone and pearl meat. The pig belly comes from the Byron area, the abalone comes from Tasmania, the pearl meat comes from the Northern Territory, the mushrooms come from Bowral in NSW and the turnips come from the Blue Mountains, so it’s a true national dish! A lady on Kangaroo Island sends me samphire, which is fantastic, and another lady in South Australia sends me green almonds in the post when they’re in season. I source things from far and wide. I stayed at Wolgan Valley Resort and Spa recently and that was a real highlight. I loved it. It’s an amazing property in a unique valley. We did a nature-spotting 4WD tour and saw three albino wallabies, which are incredibly rare. Apparently they’re hard to find as there are only four on the property, but we got lucky. It was brilliant. It was a beautiful, relaxing weekend. The staff were really welcoming, helpful and really enthusiastic about the resort. If you were an overseas visitor you’d get a really quintessential Aussie bush experience. And there’s some great history – Charles Darwin stayed in the restored 1800s shack on the property. The resort accommodation has really beautiful interiors and each villa has its own indoor-outdoor pool. The food was good – it wasn’t complicated but it used good produce and was really well cooked. It’s not cheap, but everything’s included, such as wine with dinner and activities, so it’s great for a couple who just want to get away and not worry about anything. BERRIDALE FARM Not open to the public. FEAST! FINE FOODS Richard Gunner’s Fine Meats has five retail outlets in South Australia, trading as Feast! You’ll find suppliers, an online store and excellent recipe suggestions at feastfinefoods.com.au. This may be a big call, but it’s true: Tetsuya is Sydney’s most-loved chef. This affable food artist came to Sydney in 1982 at the age of 22 with limited English, and began working as a kitchen hand at Fishwives in Surry Hills, before moving on to Kinselas to become its sushi chef. 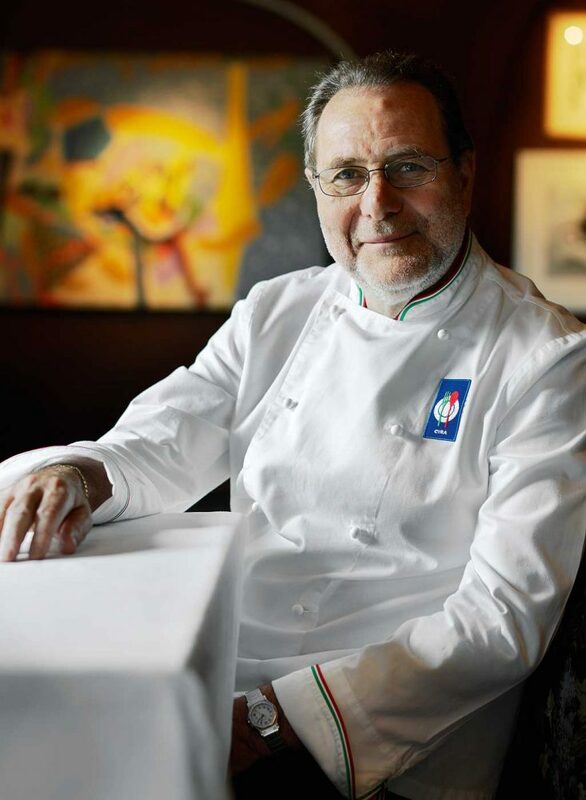 His creative style and combination of French and Japanese culinary techniques have made his degustation dinners the stuff of legend – as is his confit of ocean trout with konbu, apple, fennel and witlof. 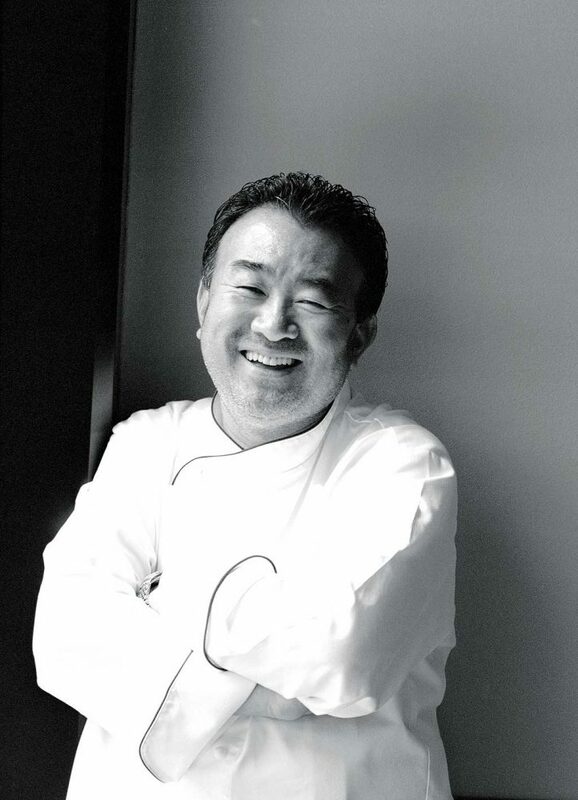 A member of distinguished international restaurant and hotel collection Relais & Chateux, Tetsuya is also a major ambassador for regional cookery, and although he resides in NSW he has a special affinity with Tasmania. My fondness for Tasmania is no secret, and it is here that I find so many places, and so much regional produce, that attract and inspire me. I visit Tasmania often, and so am lucky to have the opportunity to discover and experience what this little island has to offer when it comes to food. In Hobart, I would highly recommend a visit to Garagistes. While I might be a little biased, as Luke Burgess worked with me at Tetsuya’s right back in the Rozelle days (the original location of Tetsuya’s restaurant), the restaurant delivers an exceptional dining experience, combining the obvious talents of the staff with the best of local produce and a unique site. Me Wah in Sandy Bay is another dining destination for me when I visit, and is an absolute credit to Stephen Tso and his staff. For a taste of authentic, home-style Italian cooking and atmosphere, there is no better place than Ristorante Da Angelo at Battery Point. I usually stay at the Henry Jones Art Hotel when I visit Hobart. For me, it feels like home. I’m never disappointed when I eat at Henry’s. Andre Kropp heads up a wonderful restaurant, and I have had the privilege of working with him on a number of occasions for charity functions in Hobart. When I visit Launceston, I am always impressed by Stillwater and Black Cow. I have heard many good reviews of Saffire Freycinet at Coles Bay, and I am hoping to stay there soon. While I travel frequently and am always interested in local food and produce around the world, Tasmania remains my ultimate food region. Australia as a whole has so much to offer; we are so lucky here to have access to the produce that we do. But Tasmania holds a special place for me, starting from the great friends I made there who have helped me discover what the island has to offer. Even after so many visits, my friends and colleagues find new and interesting places to visit, produce to try, people to meet. Tasmania’s world-class and often unique produce is renowned. Leatherwood honey, for example, comes only from Tasmania. How exciting to be able to use a honey unique to our country, from a World Heritage rainforest, and with such a beautiful, distinctive flavour! I have sourced honey from R. Stephens and the Tasmanian Honey Company. But recently I have been told the cold has affected the leatherwood trees, and a lack of blossoms means the bees haven’t been able to produce as much this year. Grass-fed beef is another Tasmanian ingredient I love. I source grass-fed Wagyu and Cape Grim Angus beef, which are grown on the lush pastures in the far north-west of the island. There is also magnificent seasonal fruit: the apples are famous, but cherries, raspberries, blueberries and apricots are among my favourites. I really find the innovation and enthusiasm of Tasmanian farmers an inspiration. They are very clever in coming up with new crops suitable to the region. I now am able to buy Tasmanian wasabi for my restaurants, which is really something! Of course, I could not talk about Tasmania without mentioning the seafood. My long relationship with Petuna Seafood, from whom I source ocean trout farmed in Macquarie Harbour, is well known. I also use Atlantic salmon from Huon Aquaculture, which is found on the west coast of Macquarie Harbour, as well as near Dover in the south-east. Tasmania produces an astonishing array of other seafood: oysters, scallops, sought-after rock lobster, and abalone, both farmed and wild. I am truly spoilt for choice. I buy cool-climate wine from a number of vineyards in Tasmania. Interestingly, a season can vary in Tasmania over distances of 100km or thereabouts, so vintages are regional within the state, and there are great quality sparkling wines, as well as reds, whites and dessert wines. Tasmania has so much to offer in the world of food and dining and travel, as well as being so visually beautiful. This wonderful island never ceases to inspire me. PETUNA SEAFOOD It’s all about the trout. 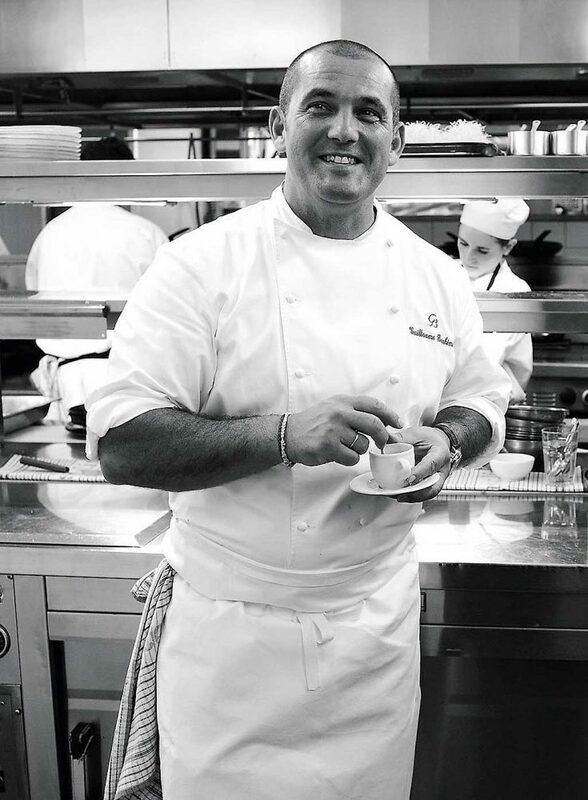 Paris-born Guillaume Brahimi is the man behind the fabulous fine food experience at one of Sydney’s most iconic dining destinations – Guillaume at Bennelong, which sits snugly inside one of the Opera House sails. 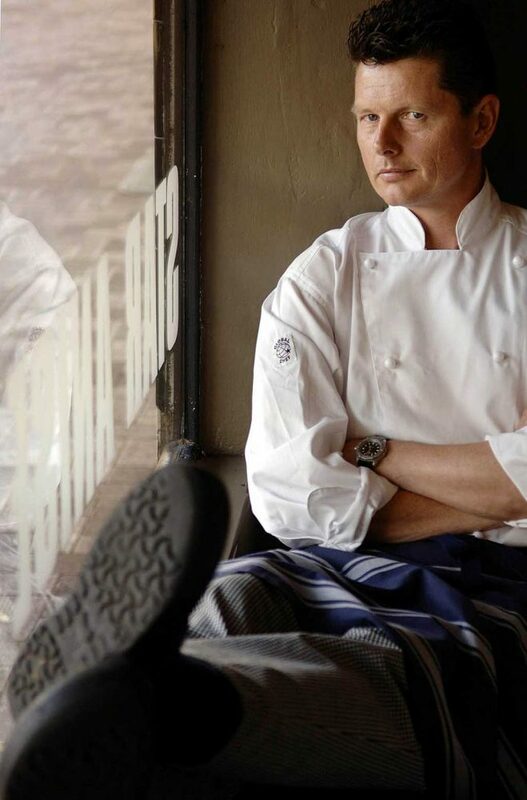 He recently opened a new, more relaxed bistro-style restaurant on the Crown Promenade in Melbourne, right on the banks of the Yarra, alongside other notable restaurants including Nobu, The Atlantic and Gordon Ramsey’s Maze. Bistro Guillaume’s menu offers classic French dishes such as leg of duck confit with brussels sprouts (yes, these underrated vegies are making a comeback! ), lardons and mustard. For dessert, he makes possibly the world’s biggest, freshest and most delicious macarons (apologies to Adriano Zumbo!). I don’t travel as much as I’d like [at the moment Guillaume is splitting his time between his Sydney and Melbourne restaurants] but the Yarra Valley is great – obviously for the wine, but the produce, too, is worth the trip. We use Yarra Valley Dairy fetta in our restaurants. I also think Tasmania, and Hobart in particular, has a great sense of hospitality and of great produce. In Tasmania you can eat the state’s produce and drink its wine and you’re pretty happy. The people are passionate about what they do. I would love to visit some of the producers when I have a bit more time. I went to Manjimup in WA last year for the truffle season. There are a few people down there who have truffieres and they’re doing well. It’s great to be able to have Australian truffles so they don’t have to fly in for 24 hours, then be in quarantine for two days. They are on your plate 12 hours after they come out of the ground. I really like Port Douglas in general. All the restaurants I’ve eaten in there have been fantastic and the food is getting better and better. They are trying to create really beautiful food with simplicity, not by overcomplicating things. I love all the small restaurants on the main street (Macrossan St). I love the fact you can walk in wearing shorts and a T-shirt and have a great meal. I go every year for a family holiday. We need to support small restaurants in the country because they need some help. It’s hard enough in the big cities. In the country you become a Friday-to-Saturday restaurant. All other days are too quiet – it’s hard to sustain. I think all the regional food festivals are doing a wonderful job to make people aware of what you can experience in the country. We’ve recently discovered great Black Angus beef from Darling Downs – it’s such a beautiful part of the world. The beef is 200 days grass-fed and after that they add cereal to the diet for a boost, to fatten and bring marble to the meat. It’s good to have a balance of grass and grain. I also love Cape Grim water. It’s the purest rainwater in the world. They do beautiful grass-fed beef in that region as well. They have the purest air, purest water and the meat is pretty amazing. Special mention must go to South Australian Barossa Valley chicken from Saskia Beer, Maggie Beer’s daughter. These excite me; they are beautiful produce. I also love Victorian white asparagus when it is in season – it is fantastic. The spears are more meaty, thicker than average asparagus, and have a short season – just a couple of months in the beginning of spring. I love West Australian crayfish, the marron especially. I love the flavour and texture – it’s world-class produce. Coffin Bay oysters are amazing at the moment. South Australian tuna. The green-eyed trevally from Ulladulla is terrific. You get some great long-line fish from the NSW south coast. Oh, and Holy Goat cheese from Daylesford-Macedon Ranges! CAPE GRIM WATER Harvested from pure rainwater on Cape Grim, Tasmania. The Age Good Food Guide. 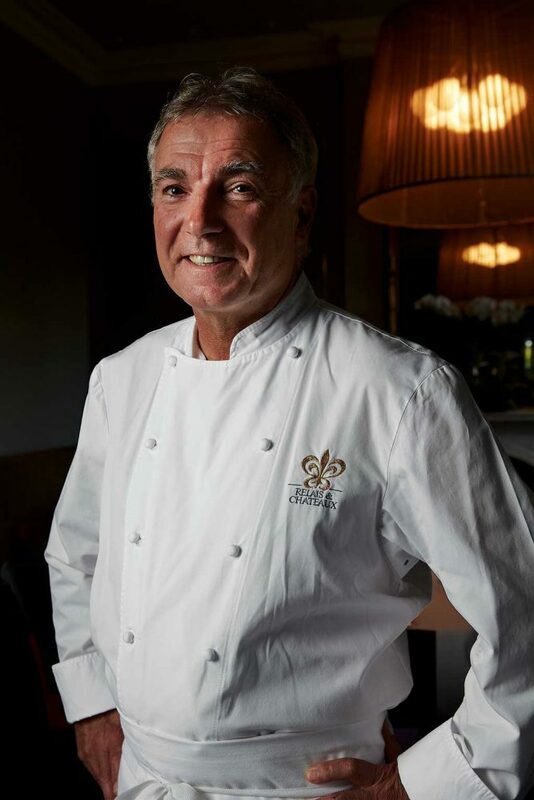 Jacques is renowned for his creativity – he was one of the first in Australia to offer a degustation menu. Currently featuring on his dessert menu is an apple gin fizz inspired by Federation Square architecture and featuring roasted apples, a gin tonic jelly, doughnut and mountain pepperberry-spiced puff pastry. But don’t be intimidated by the refined, traditional surroundings: all is softened by the service – this is a warm, family business. Jacques’ daughter, Nathalie, is sommelier. Giant Steps Restaurant in Healesville, Victoria. I think they have the right concept for an original restaurant as they have exquisite regional products, the right diversity on their menu and their concept is great – it includes a proper and large cheese room, a bakery with country-style bread and Danish pastries, and a wood-fired oven for their pizza. They also roast and make their own coffee and have a large selection of wine available by the glass. It’s a perfect stopover after a long motorbike ride on a Sunday or Monday. I also rate Annie Smithers’ Bistrot in Kyneton as her food revolves around fruit and vegetables grown in her garden in nearby Malmsbury. One night, after a long ride during the Ducati Turismo in Tasmania, my son and I had an exceptional dinner in a restaurant called The Fishboat in the little town of St Helens, on the north-east coast. It was a tiny place run by a father and daughter on a moored boat – the father in the kitchen and the daughter serving. They brought out dish after dish of simply cooked seafood – the freshest I’ve tasted. Chickens and pigeons from Glenloth Game. Rock lobster from the Fergusons on Kangaroo Island. Ocean trout from Petuna Seafood in Strahan in Tasmania. Pork from Western Plains Pork. FERGUSON AUSTRALIA Award-winning southern rock lobster from Kangaroo Island. Go to www.fergusonaustralia.com for info and recipes; buy at www.lobsteronlone.com.au. There is one very good reason Australian Traveller loves Luke Mangan – he’s the chef responsible for the excellent chunky beef pie available on Virgin Australia flights. It truly is a very good pie – it’s tasty, the pastry holds together and the filling doesn’t slop out all over your lap. Don’t get us wrong, we’re not past dressing up for a night at Glass Brasserie, either, and we’re keen to try the new Salt Grill at the Hilton Surfers Paradise, which is due to open in September. It promises a slightly more casual dining experience than Glass, and landlubbers can finally experience the fresh grilled seafood already on offer aboard the P&O Cruises ships Pacific Dawn, Pacific Pearl and Pacific Jewel. For a weekend getaway you can’t go past the Yarra Valley. The food and wine are both exceptional. I love the Yarra Valley Grand Hotel, which is rustic and charming. The Tarrawarra Winery is great too – it’s a lovely little restaurant overlooking a vineyard. I have a holiday home in Kangaroo Valley, and when I drive down from Sydney I often make a diversion via Berrima just to eat at Josh’s Café. It’s a hidden gem, with simple, well-cooked food and a rustic ambience. In Kangaroo Valley itself there’s a great winery called Yarrawa Estate. It’s owned by a lovely couple called Mark and Sue Foster. As well as their wines, you can sample homemade produce such as nuts, jam, pickles and olive oil. I also love Vulcan’s in the Blue Mountains, Philip Searle’s restaurant. The drive is beautiful and I’ve been going there for years because of the amazing food. It’s wholesome and well executed, and the restaurant is cosy and always buzzing. I prefer to go to restaurants for lunch rather than dinner because you can relax and take your time. I love a long lunch. There’s some lovely cheese out of Gippsland called Old Telegraph Road. I only recently stumbled upon it and I love the cheese, so now I use it in the restaurant. I like to support small businesses and I buy local whenever possible. I love stopping at farm gates. When I’m driving around the Southern Highlands I’ll often stop and buy a box of lemons that will end up being used back at the restaurant. SALT GRILL // Hilton Surfers Paradise. Due to open in September. There’s also an online store at www.lukemangan.com, which sells Luke’s range of olive oils, spices, chocolates and other deli products. HAMMOND FARMS Robbins Island Wagyu are Japanese full-blood Wagyu cattle bred and raised on isolated pastures with no supplements, hormones or antibiotics. A regular guest on TV programs such as MasterChef and My Restaurant Rules, Matt loves sharing his culinary knowledge with the public. He is also a strong advocate of regional produce, having grown up on a dairy farm in Badgerys Creek, NSW. His seven-course seasonal tasting menu currently includes dishes featuring Peking duck consommé, twice-cooked Bangalow Sweet Pork belly, assiette of rabbit and seared scallops. Aria opened in late 1999, in one of the best locations in Sydney – right next door to the Opera House. Every year since 2001, the Sydney restaurant has earned two chef’s hats, and wine guru James Halliday has said the restaurant’s wine list is “the best in Australia”. Aria Brisbane opened in 2009. I always enjoy eating out in Noosa as there is a good concentration of excellent restaurants and cafés for any occasion. Berardo’s Bistro on Hastings Street is the perfect place for laid-back beachfront dining. With a fine dining restaurant and a kiosk, they cater for all occasions and are committed to using fresh and predominantly local produce. Another Noosa favourite is Thomas Corner Eatery on Gympie Terrace. It’s relaxed and informal and the food is fantastic. One of my favourites is Tonic, in Millthorpe in the Orange region, which is close to our family farm. The chef Tony Worland is a talented man and produces impressive dishes using the very best seasonal produce. Three standouts are Blackmore Wagyu Beef; Holy Goat Cheese from Sutton Grange, Castlemaine, Victoria; Cobram Estate Olive Oil from the Upper Murray River. HOLY GOAT CHEESE Handmade French-soft-curd-style cheeses. 112 Redesdale Rd, Sutton Grange, Vic; (03) 5484 8289. Frank Camorra-Movida, Movida Next Door, Movida Aqui and Movida Terraza Frank was born in Barcelona but grew up in Australia. 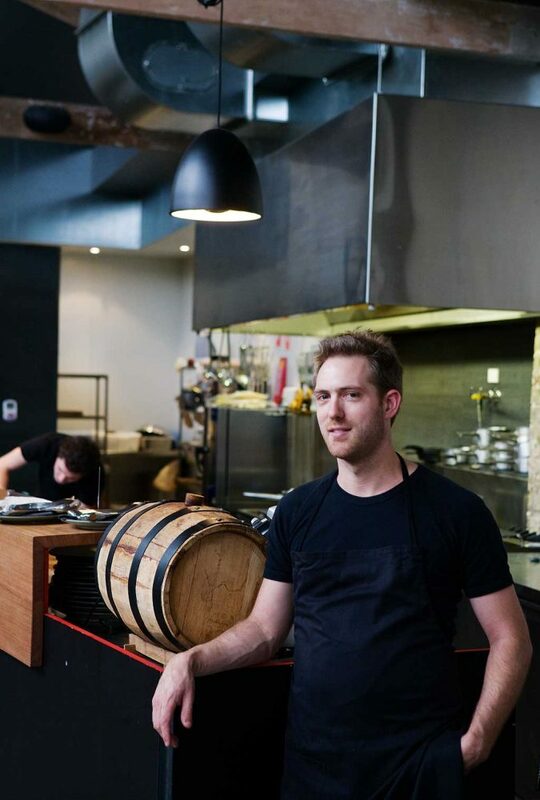 He moved to Spain in 2000 for a time, fell in love with tapas and the bar scene, and returned to Australia inspired to open a social restaurant in the laneways Melbourne. Tasmania – especially the north-east coast. David Rayner’s Thomas Corner eatery in Noosa. It gives me exactly what I want on holidays, showcases local ingredients simply, and there’s a laid-back and professional feel. Two others are The Good Table at Castlemaine, which has shared plates and tasting menus that champion regional food, and Cilantro, just 10km from Mt Hotham. PADRON PEPPERS Pimientos de Padron are grown at Midyim Eco, 83 Lees Rd, Conondale, Qld; www.midyimeco.com.au. Armando is the creative force behind Ristorante Buon Ricordo (which means “good memories” in Italian) in Paddington, in Sydney’s Eastern Suburbs. His beautifully constructed Neopolitan menu relies on regional produce for its fresh and hearty flavours, which include a legendary truffled-egg pasta fettucine dish that is tossed with great ceremony at the table. Armando opened his first restaurant 25 years ago, and he and his wife Gemma have succeeded in creating the ultimate city-life/country-life split. Their farm north of Sydney, halfway between Wollombi and Laguna via the Peats Ridge Tourist Route, has orchards and groves of olive trees, from which he harvests and presses his own fruit for oil used in the restaurant. There is also a gorgeous modern holiday pavilion on the property, called Valley Field Escape, which was luxuriously decorated by Sydney interior architecture firm Pike Withers. Beechworth, Victoria – it is a beautiful town with a region that grows the highest quality wines and has wonderful produce. In NSW, I love Orange, with its passionate producers and great restaurants, and my sanctuary, the Hunter Valley, where I have a small farm. A few days staying at Dunkeld in the Grampians is magical. The sophistication of food and wine at the restaurant in the Royal Mail is balanced by the relaxation of staying in the historic homestead and cooking with friends. We went for a lovely stroll around owners Allan and Maria Myer’s stunning garden. Robert Molines’ Bistro Molines at Tallavera Grove in the Hunter Valley, with its views of the vineyards. I also love Lolli Redini in Orange and the Victory Hotel on the Fleurieu Peninsula, SA, particularly for its unique cellar. Guineafowl from Nulkaba Farm in the Hunter Valley who do not use antibiotics or chemicals. We have them delivered weekly to the restaurant when in season. Friggitello and o couto chillies from Midyim Eco Produce, Conondale, Queensland. All the garlic I can get from Hugo Brandli, an organic grower in Wollombi. And of course, proudly, my own extra virgin olive oil. Nothing is better than seeing and tasting the first drops of the oil produced from your own trees. BUON RICORDO // 108 Boundary St, Paddington, NSW; (02) 9360 6729; www.buonricordo.com.au. VALLEY FIELD ESCAPE // Off Great North Rd, Laguna, NSW; (02) 4998 3312;www.valleyfieldescape.com.au. THE ROYAL MAIL see page 63. 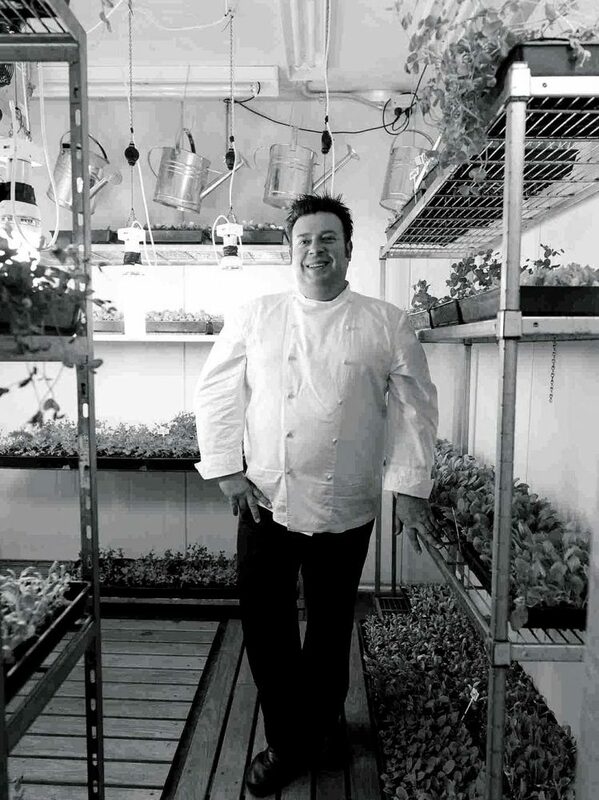 David Coome- Pata NegraPerth chef David Coomer famously closed his award-winning fine-dining restaurant Star Anise to concentrate on growing truffles in Manjimup, in the Southern Forests area of Western Australia. His other venture, Pata Negra, is a casual dining venue in the Perth suburb of Nedlands, which incorporates local produce into a Moorish-Spanish menu. There’s tapas, jamon, cheese and chorizo selections, and hearty mains from the earth, land and sea. You’ve got to love a place where you can order pork crackling pimento salt as a side. Southern WA. While Margaret River is all about viticulture, the Southern Forests region around Manjimup and Pemberton is much more varied agriculturally. We source a lot of produce for Pata Negra (and Star Anise when it was open) from farm gates around here. We bought a 30-acre farm at Manjimup four years ago and started a truffiere. The climate is perfect for growing truffles. The summers are mild compared to the rest of WA and the winters are cold and wet – but not too cold. There’s also beautiful, fertile, rich soil here – karri loam. We’re about three years away from harvesting our own truffles. At the moment I use those from Manjimup Truffles. I went on a truffle hunt the other day with just one dog and pulled about 2.5kg of truffles in 25 minutes. Australia is becoming a key truffle-producing nation and I believe Manjimup is streets ahead of any other region. The restaurant at Vasse Felix. It has an interesting menu based on regional produce. My favourite place to eat, though, would have to be the Margaret River Bakery, which serves up great breakfasts and lunches [not open for dinner]. It has nana-style mismatched crockery and old comfy lounges. Very relaxed, very Margaret River, not at all wanky. It’s a bit of a local hangout. They also have a stall at the Margaret River markets every Saturday, where you can buy traditionally baked almond croissants and sourdough loaves. Newy’s Vegie Patch, a family-run market garden in Kirup, on the highway to Manjimup from Bunbury. The produce is really seasonal – picked, put on display and sold the same day. I went in there and asked if they had Jerusalem artichokes; they went out into the garden and came back with a load still covered in dirt. Fantastic. NEWY’S 113 South Western Highway, Kirup; (08) 9731 6609. 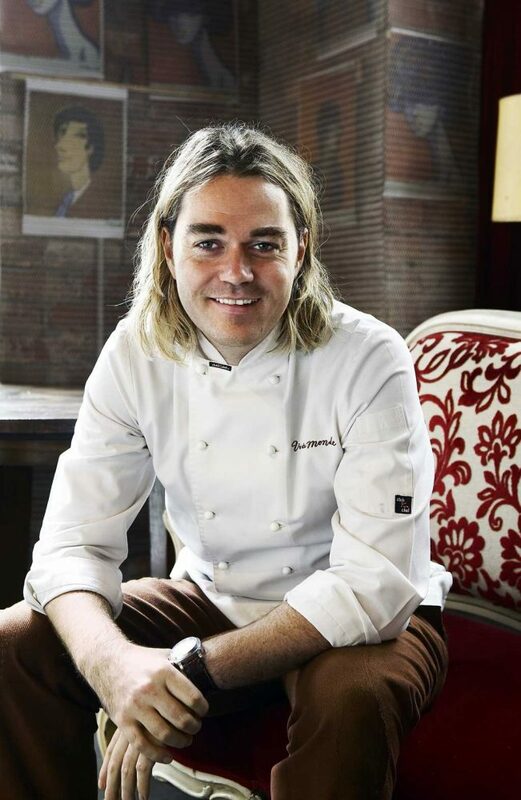 Shannon Bennett- Vue De MondeHomegrown and small-farm produce is used wherever possible in Shannon’s multi-award-winning fine-dining restaurant, which recently moved to the top floor of Melbourne’s landmark Rialto building. Shannon is passionate about sustainability and Vue de monde was Australia’s first carbon-neutral restaurant, employing such techniques as “cold kitchen technology”, which means there are no open flames. The Vue de monde experience is dramatic and exciting – the food may be steeped in traditional French culinary traditions but Shannon brings a sense of creativity and theatricality to the dining experience. Tasmania – the ruggedness and wilderness, there is something amazing here. We get all our seafood from Tasmania. Our fisherman, Mark Eather, is an amazing supplier of the freshest and sustainable produce. The Source at Moorilla Estate in Tasmania is one. My whole recent visit there was just fantastic, from The Source to MONA (Museum of Old and New Art) and the surrounding views and fresh air of Hobart. I also love Rick Stein at Bannisters on the NSW south coast, for Steve Feletti’s oysters (see below) and organic chickpeas. I highly recommend Steve Felleti’s Moonlight Flat Oysters in Batemans Bay. Schulz is our milk of choice in Vue de monde, Bistro Vue and our Café Vue locations. Schulz Organic Products are unique – truly pure, simple and delicious. It is processed on farm, in small batches, with great care and cleanliness. Made from whole milk from Friesian and Jersey cows, and they add nothing but natural ingredients. For over 37 years they have used biodynamic and organic principles to enhance the vitality of the soil, grasses and animals. VUE DE MONDE // Level 55, Rialto, 525 Collins St, Melbourne. (03) 9691 3888; www.vuedemonde.com.au. CAFÉ VUE // A more café-style experience, these four Melbourne locations all retain Shannon’s unique stamp. Find them at St Kilda Rd, Little Collins St, Melbourne International Airport and Heide. www.vuedemonde.com.au/Cafe_Vue. BISTRO VUE // A more informal, traditional French dining experience. (03) 9691 3838; www.vuedemonde.com.au. MARK EATHER Does not supply to the public but you can eat Mark’s fish at many top restaurants, including Garagistes and The Source in Tasmania and Rockpool and Billy Kwong in Sydney. 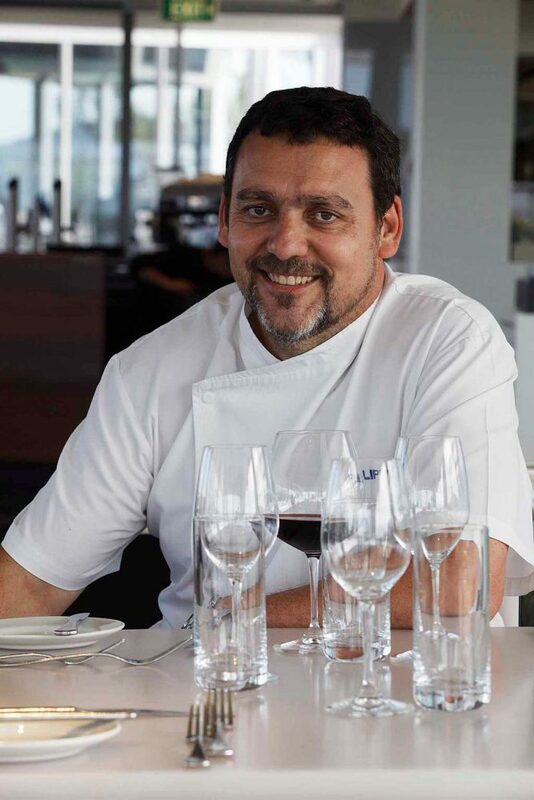 Philippe Leban-The SourceOnce upon a time, Philippe was sous chef to Guillaume Brahimi; now he is one of the most exciting executive chefs in Australia at one of the most exciting venues – Moorilla Estate, home to The Source Restaurant, Museum of Old and New Art, Moo Brewery and Moorilla Estate Wines. He creates exquisitely artistic dishes using fresh, local produce, allowing flavours to pack their natural punch. Tasmania is one big regional pool of produce. No-one is far away, and we have some real gems: olive oil, truffles, Wagyu beef and cheeses. Absynthe on the Gold Coast. It’s modern in both its approach to food and decor. The kitchen creates dishes that are complex and simple using ingredients you would not always think of putting together, so it becomes a journey of discovery. ABSYNTHE Q1 Building at the junction of Surfers Paradise Blvd, Clifford St and Hamilton Ave, Surfers Paradise. Local growers, fishermen and farmers supply Luke with the phenomenal produce on offer on the seasonal menus Luke creates for Hobart restaurant Garagistes. Luke has a pretty good pedigree too, having trained under Tetsuya Wakuda. All baking, curing, smoking and pickling at Garagistes is performed inhouse, and communal dining is encouraged. If you prefer to keep your dinner to yourself, Sunday lunches feature set four-course menus with individual seasonal dishes. I’ve not nearly travelled enough around this big continent, but of the places I have visited, the drive from the east coast of Tasmania to East Tamar is a diverse, stunning journey with a small amount of places to visit but absolutely beautiful vistas around every corner. Vulcan’s in Blackheath, NSW. It’s a perfect combination of delicious food in a casual setting that makes it a destination worth the drive. Being BYO, it also makes it interesting to match wine to the intricate spices and seasoning that Phillip Searle uses. I also recently ate at Loam in Drysdale and thoroughly loved the experience. A direct counterpoint to the style of dining at Vulcan’s, but professional, well-constructed food and service that was casual and unpretentious with a beautiful location to boot. Vegetable growers Tony Scherer for his organic radishes and Richard Weston for tomatoes. John Hammond’s grassfed wagyu [Hammond Farms]. Mark Eather’s amazing fin fish – namely striped trumpeter, mackerel and bass grouper. Paulette Whitney’s bergamot flowers, rat’s tailed radishes and sweet cicely. All these people are small producers, but are the essence of regional authenticity. Without them we could not put on the plate what we do. 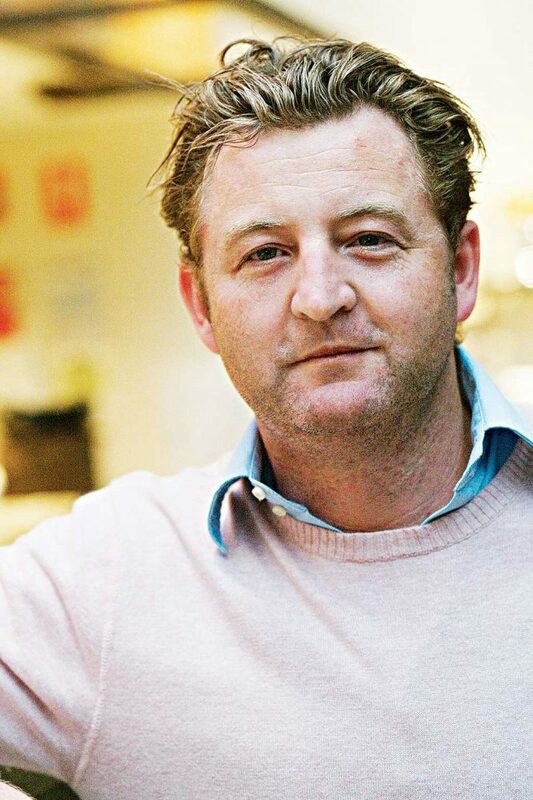 A lover of Nonya, Thai and Tamil flavours, Jimmy grew up in Sri Lanka, where his family owned a Chinese restaurant. One of his fondest childhood memories involved heading to the fresh-food markets with his dad – and he still enjoys buying produce direct from the farmers markets today. 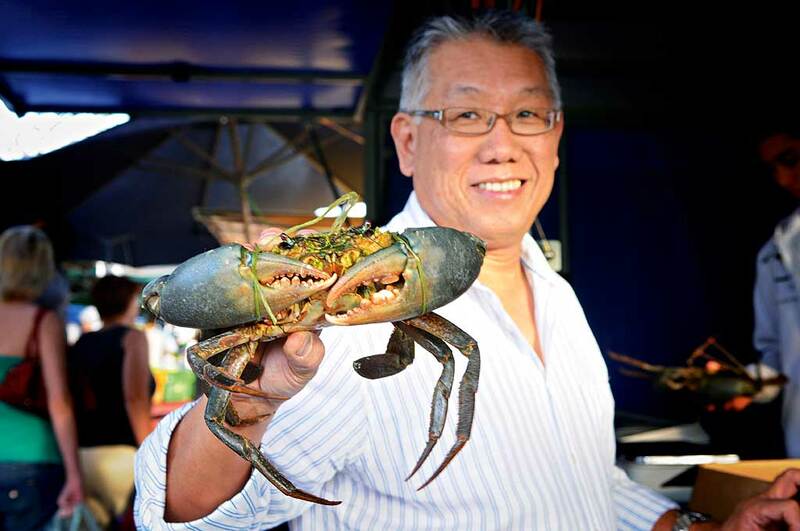 He strongly believes in regional produce, and it was while he was on a trip to source barramundi for his Melbourne restaurant that he fell in love with Australia’s Top End. The Northern Territory grows locally many of the Asian vegetables he loves to cook with. Hanuman Darwin opened in 1992 and now has two other outlets, in Alice Springs and Cairns. Darwin, as the produce is sold fresh at the weekend markets by the growers themselves. Most produce from the restaurant is sourced from Rapid Creek Market. Perrotta’s in Cairns has a great innovative breakfast menu served with excellent, efficient service. Best coffee in town. I also love Piccolo in Cairns for their freshly handmade pastas. It is run by the family who also waits at the tables and provides guidance through the menu. In Darwin, I love Sumatra Cafe inside Anthony Plaza. The owner, Mrs Harmieta, cooks excellent Indonesian food daily. Since I am operating Thai restaurants we consume up to 160kg of kangkong (a crunchy-textured Asian spinach) per week just in one restaurant. The other ingredients I can’t do without are sweet and hot Thai basil, which are essential ingredients in our cuisine and is available throughout the year. I source all my vegetables from Rapid Creek Markets. HANUMAN DARWIN // 93 Mitchell St, Darwin. (08) 8941 3500; www.hanuman.com.au. HANUMAN ALICE SPRINGS 82 Barrett Drive, Alice Springs, NT. (08) 8953 7188. HANUMAN CAIRNS Hilton Cairns Hotel, 34 Esplanade, Cairns, Qld. (07) 4052 6786. PEROTTA’S AT THE GALLERY Cairns Regional Gallery, 38 Abbotts St, Cairns, Qld. (07) 4031 5899. PICCOLO CUCINA 92A Lake St, Cairns. (07) 4051 5137; www.piccolocucina.com.au. RAPID CREEK MARKETS Rapid Creek Business Village, 48 Trower Rd, Milner, NT. Sunday mornings 6.30am-1pm. www.rapidcreekbusinessvillage.com. 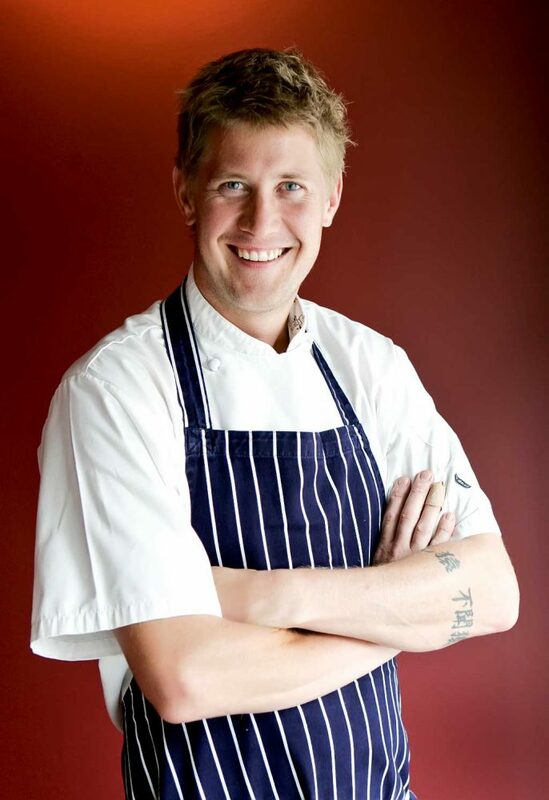 Mathias is head chef at Philip Johnson’s E’cco Bistro in Brisbane. Philip is a self-confessed city-slicker and when asked to take part in this story he had no qualms redirecting us to Swedish-born Mathias, who has a real passion for both regional produce and travel, which has seen him be a food tourist to Berkshire in the UK to dine at Heston Blumnthal’s Fat Duck and El Bulli. The two work well together, sharing a love of simply cooked, uncomplicated dishes that play to foods’ natural flavours. We reckon Mathias has got a big future ahead of him. Coast Restaurant in Hervey Bay. I previously worked with head chef Nick Street-Brown and pastry chef Krista Graham at Per Se in New York. Coast is known for its exceptional quality and is a real stand-out in the midst of this holiday destination. I fondly remember the pork and watermelon salad and the delicate lamb shoulder, which is braised for 12 hours. The restaurant also offers shared dishes, which is another appealing aspect of Coast. The lovely, tranquil setting of Spirit House restaurant in Yandina, Queensland, is what makes it extremely special for me. The last time we visited, we had the whole reef fish, which was outstanding. Locale Restaurant at De Bortoli Yarra Valley Estate is another standout restaurant for me. Again, I love the setting of the venue and their exceptional wine list (of course!). The low-fuss treatment of their outstanding produce sits closely with the philosophy that we hold at E’cco Bistro. All in all, my favourite regional restaurants stand out for their use of local produce and that they don’t “overwork” their ingredients, creating simple and delicious meals. We have a great certified organic grower, John Cutts (at 100% Vegetable), who is based in Northern NSW. He’s fantastic because they bring in a selection of new potatoes and produce, some of which are picked on the same day. Our organic grower also brings in zucchini flowers and pumpkin and is the first local organic grower that I know of who is attempting to grow Japanese edamame beans. E’CCO BISTRO // 100 Boundary St (cnr Adelaide St), Brisbane. (07) 3831 8344; www.eccobistro.com. @gmail.com to get on the mailing list. COAST 469 Esplanade, Hervey Bay, Qld. (07) 4125 5454; coastherveybay.com.au. 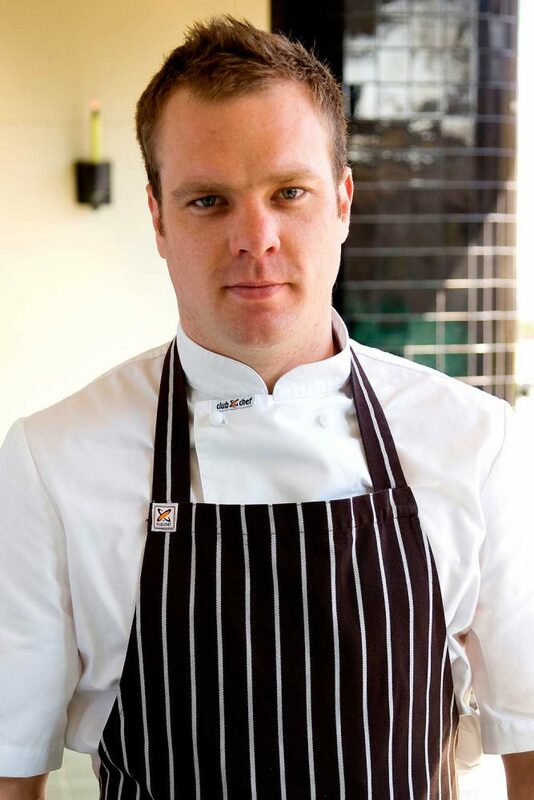 Jake Nicolson grew up in Warnambool, Victoria, and trained at the Lake House, Daylesford, under executive chef Alla Wolf-Tasker. 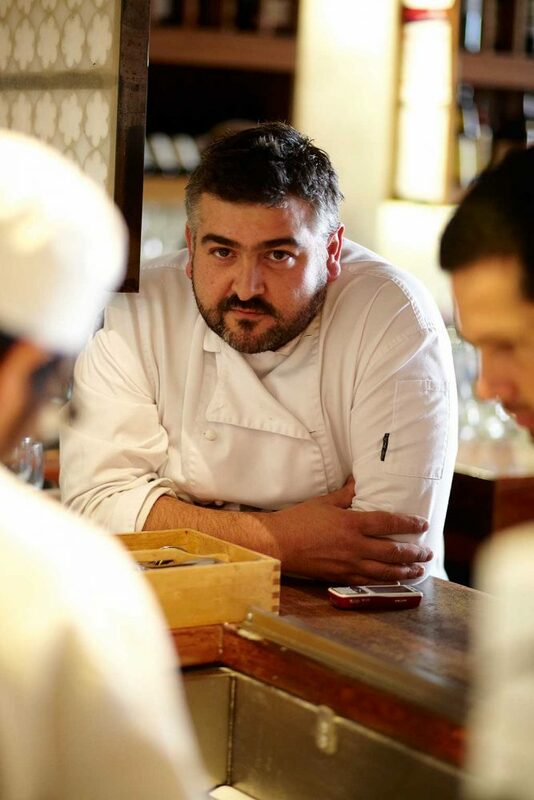 It was here that he fell in love with regional produce, and he has since become a mentor to young regional chefs. The country ethos is part of the Circa dining experience, which is all about shared plates featuring heirloom veg and rare-breed meats. The Barossa Valley is fantastic – the place oozes amazing produce, world-class wine and beautiful restaurants. Likewise, the Yarra Valley is a great location with fabulous produce ranging from beautiful cheeses and dairy products to wine, truffles, vegetables and fruit. I strongly recommend a road trip! The Lake House in Daylesford is one of the most special places in country Victoria. Alla Wolf-Tasker and her husband Allan built their little restaurant by the lake literally by hand, with hammer and nails. It’s been going 28 years and they were a driving force behind locally sourced seasonal produce long before the movement became popular around the world. I also love Eleonore’s Restaurant at Chateau Yering in the Yarra Valley. Executive chef Mathew Macartney pushes his kitchen to the limits to create dishes that make the most of every component on the plate. Pipers of Penola is a gem of a restaurant 50km north of Mount Gambier in South Australia. Husband and wife team Simon and Erika Bowen have created a special little place. Great cooking technique, fine produce and a passion for fishing and wild-mushroom hunting means Simon serves the best food for miles around. Oss Eels from Skipton, Victoria, produce amazing smoked eels. Sher Wagyu beef from Ballan, Victoria. Western Plains Pork, Mt Mercer, produces awesome freerange pork products. Glenora Heritage Produce, Tooborac, grows great organic heirloom vegetables. CIRCA THE PRINCE // 2 Acland St, St Kilda Vic. (03) 9536 1122; www.circa.com.au. ELEONORE’S RESTAURANT Chateau Yering, 42 Melba Hwy, Yering Vic. (03) 9237 3333; www.chateauyering.com.au. LAKE HOUSE King St, Daylesford Vic. (03) 5348 3329; www.lakehouse.com.au. OSS EELS Wild eels, not farmed, caught under license. To find out where you can try them, call (03) 5340 2147. PIPERS OF PENOLA 58 Riddoch St, Penola SA. (08) 8737 3999; www.pipersofpenola.com.au. SHER WAGU For where to buy Sher wagyu cuts and marble score go to www.beefcorp.com.au. WESTERN PLAINS PORK Free-range pork breeders at Mount Mercer. (03) 5341 4682; www.westernplainspork.com.